Let me start off by saying I love miniature dishes, bowls, plates, saucers, or whatever you feel like calling them. I also have to admit that I have like 500 of them all over the house in little nooks and crannies. I always feel like an empty spot in some room needs a little dish to catch things like lip gloss, change, chargers, keys or whatever else you can find to fill them. I won’t lie, I sometimes give them away to friends or family as gifts but for some reason the hoarder comes out in me and I tend to stash them all over. Speaking of stashing I was cleaning my bathroom the other day and I found a little dish I made behind a picture frame with change in it. I wasn’t sure if I had more change or more dust in the bowl! HAHA. So I just washed all the change and put it back in the dish. SEE, I told you they are handy! Since my friends at Michaels asked me to create a Mothers day project that can be for moms, dads, grandmas or whoever, I knew immediately what I was going to create. The great thing about this project is you can personalize it to fit your anyones personality! My mother is one heck of a crafter to I guess I owe a lot of my craftiness to her..
Who’s ready to get started on this mothers day project! 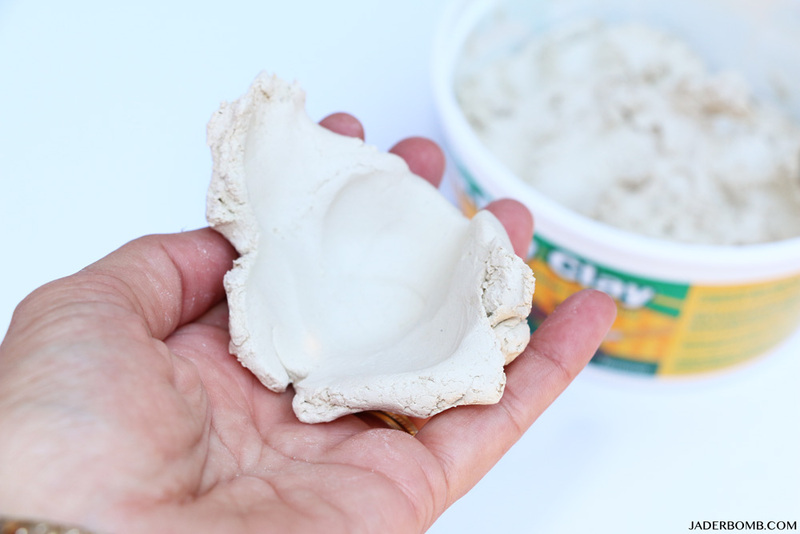 Air Dry Clay : I love this product and it’s great for kids! No need for baking, you just let them air dry and voila! 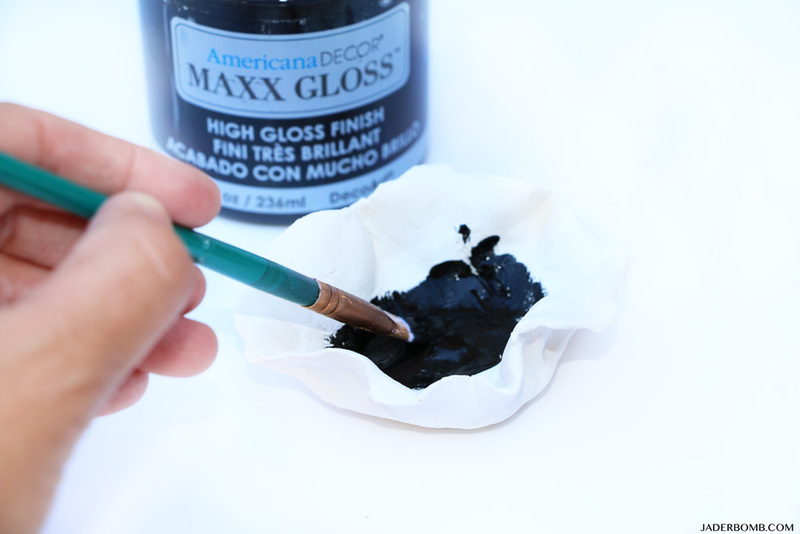 Mod Podge : One thing I love about this product is once you apply to your product it dries clear and coats it nicely. 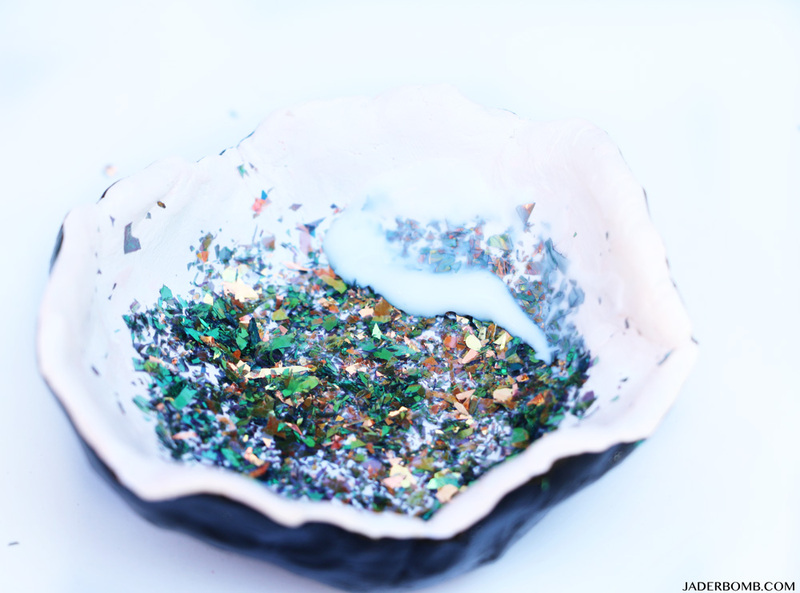 Glitter Flakes : You can use any glitter you want for this project. 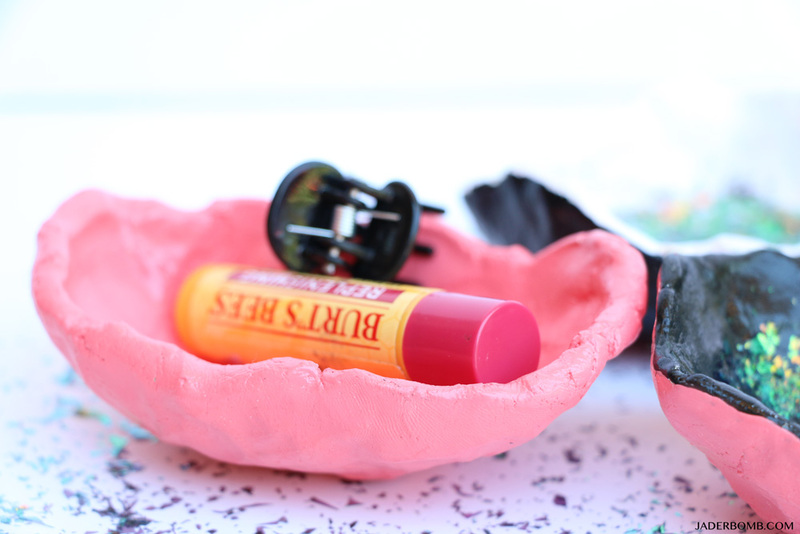 You also don’t have to use any glitter and can just paint the bowls with paint. 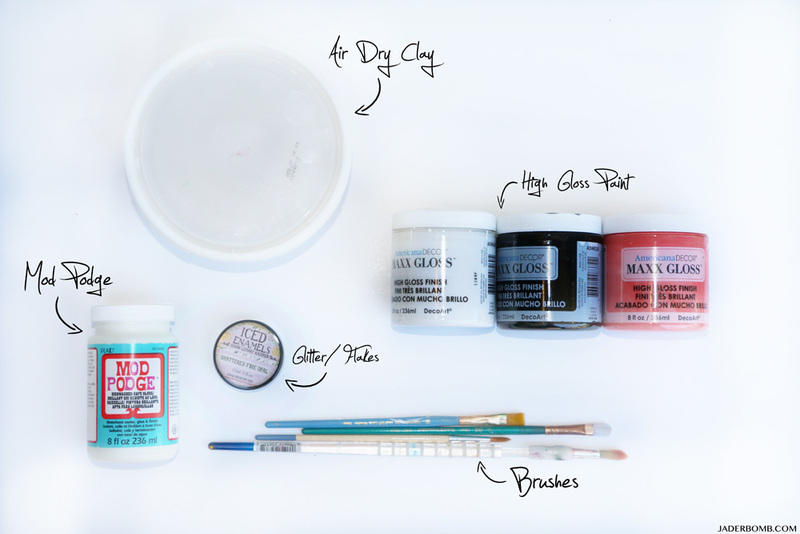 Brushes : Make sure you use good brushes so your bowls don’t have streaks on them. 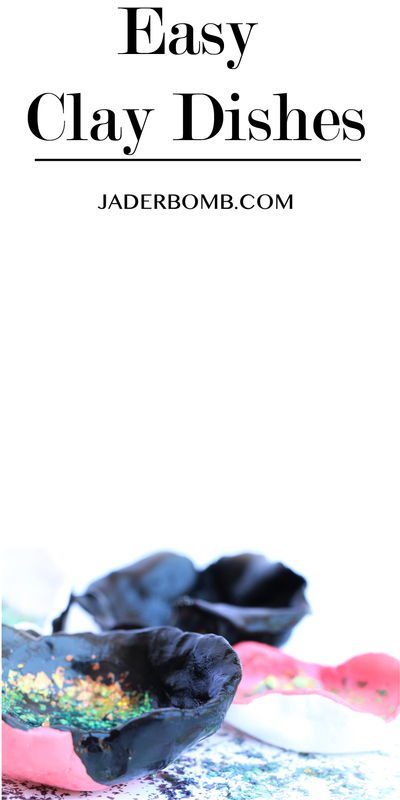 You can purchase all of the products I used by clicking on the blue links! 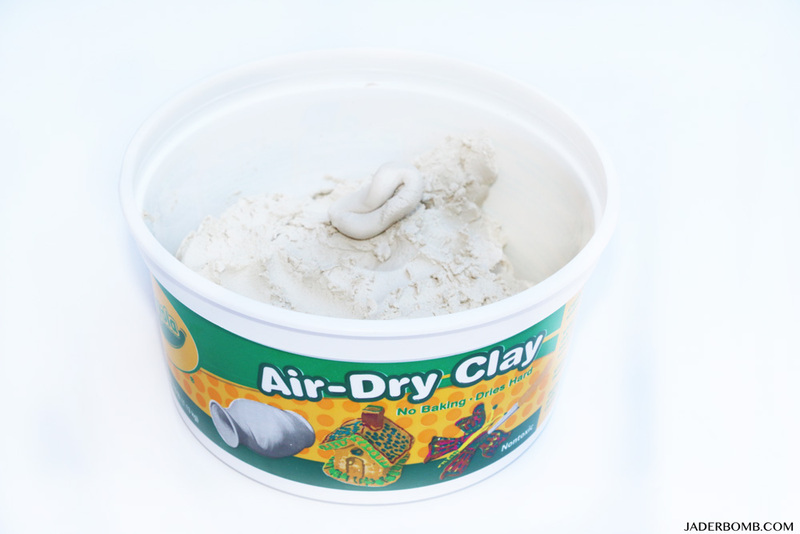 Make sure when you open your clay that it is cold and soft. Sometimes people open the containers in the store the clay gets hard. 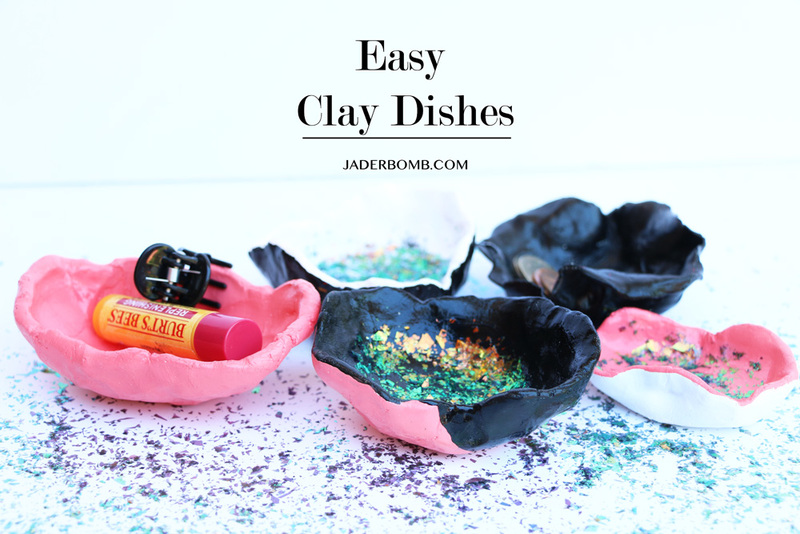 I seriously love this clay because you can make so much with it and the next day it’s ready to use! 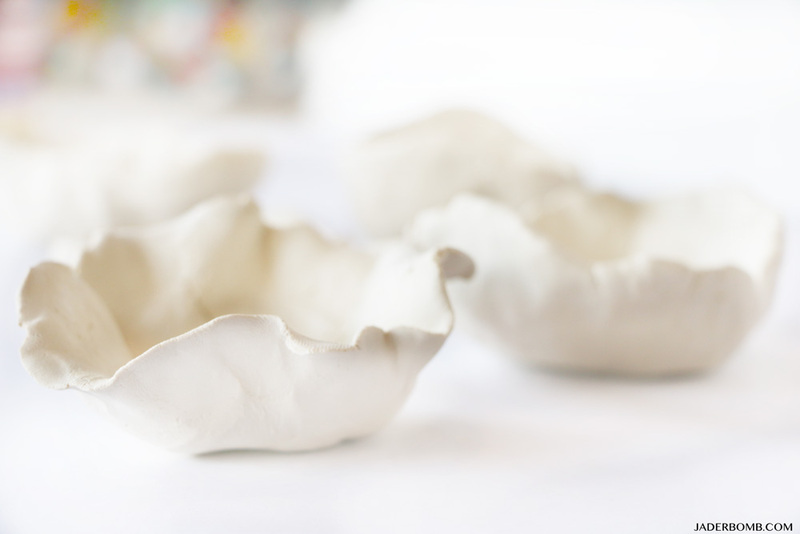 The first thing you will do is get a chunk of soft clay and slowly mold it into a little bowl. You can press the edges to make them thin and curve the edges to make it look like delicate flower petals. When you are done forming your bowls let them sit out over night to dry. I like to leave mine out for 48 hours so make sure they are really hard. Once they are dry these babies are ready to be painted! Have fun with your colors! I made them a little plain today because these are for my mom however I might keep a few and spice them up. You know me, I love my color! 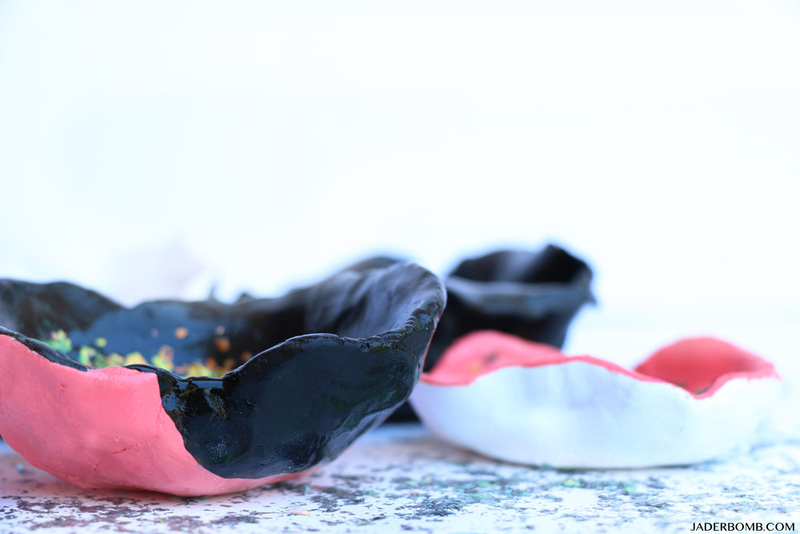 NO, I am not at ALL saying my mom is PLAIN… She is just not as BOLD as me….♥ When your paint is completely dry you will brush Mod Podge onto the bottom of your bowl then sprinkle with glitter flakes. Press down gently with finger and blow excess glitter out. Coat the top of glitter with another layer of Mod Podge to secure the glitter! Let these suckers dry then you are done! I am simply delighted with how they came out. Simple, modern and handmade. Let me also mention, made with ton’s of love! You can make these as small or large as you want! You can even make one to fit your cell phone! 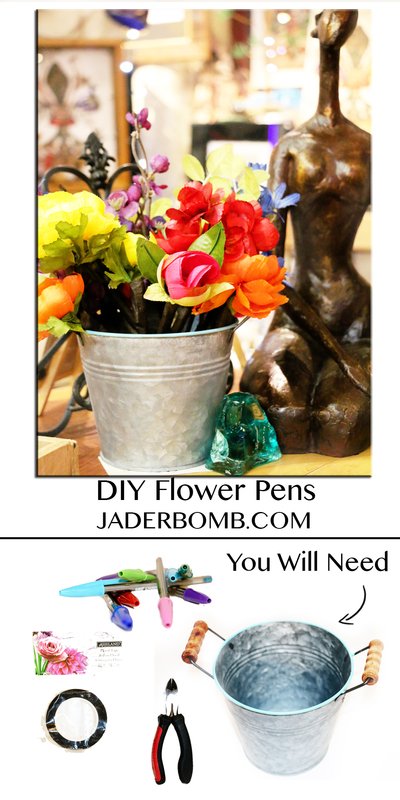 HAHA Make sure to check out my last post for Michaels where I show you how to make flower pens! This is also great for Mother’s Day! ♥If you don’t know where to begin, you can always take a look at some of the fun projects on Michaels.com or the other 49 Makers’ ideas on The Glue String for to see how they personalized their crafts!